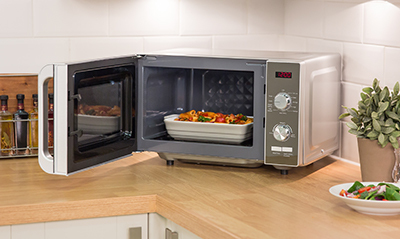 Microwave ovens offer the ultimate cooking convenience – defrost, cook, bake, reheat and even sterilize in a matter of minutes. 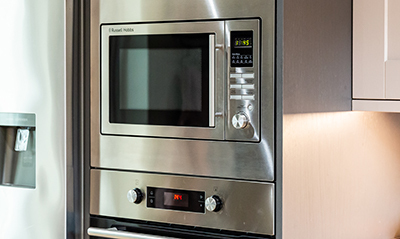 From simple to use solo models, to combination microwaves with the functionality of a full size oven at a fraction of the size, we have a range of products to meet your needs, available in an array of colours and sizes. 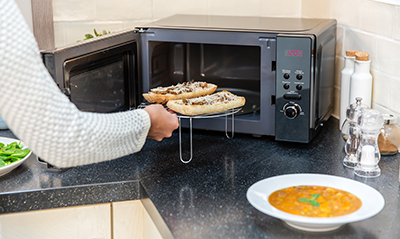 Russell Hobbs are proud to be the number 1 microwave brand in the UK by volume. 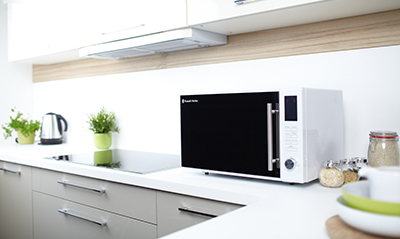 Browse our microwave range below.